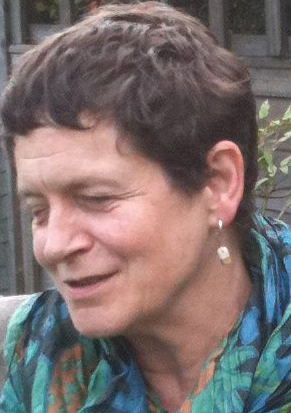 Dr Deborah Thom is a Fellow and director of Studies for the faculties of History and Social and Political sciences at Robinson College, University of Cambridge. She also lectures in the department of History and Philosophy of Science. Her research interests include the history of women’s employment, feminism and trade unionism; educational psychology and child psychiatry; corporal punishment; photography and war- all in twentieth century Britain. She teaches on the history of the sciences of the psyche, war, gender, children and family in Britain and Europe in the 20th century. Her publications include Nice girls and rude girls: women workers and the First World War (I.B. Tauris, 1998/2000). Dr Sonja Tiernan is a lecturer in History at Liverpool Hope University. Before moving to Liverpool Hope University she held fellowships at the National Library of Ireland, Trinity College Dublin and at the University of Notre Dame in America. She has published in leading journals and authored and edited six books, including Eva Gore-Booth: an image of such politics (Manchester University Press, 2012). She recently completed a book on the political writings of the Irish author and trade union activist Eva Gore-Booth, which will be in print in May 2015 by Manchester University Press. A volume of of essays on Gender and Sexual Politics in Modern Ireland will be published in April 2015. She is currently writing the official history of the Marriage Equality campaign which will culminate in a book publication after the results of the forthcoming referendum on the topic later in 2015. Dr Diane Urquhart is a reader in modern Irish history at the Institute of Irish Studies of the University of Liverpool. She is graduate of the Queen’s University of Belfast and a former postdoctoral fellow of the Institute of Irish Studies at Queen’s. She is the author of The Ladies of Londonderry: women and political patronage, 1800-1959 as well as Women in Ulster Politics, 1890-1940: A History Not Yet Told. She is also the co-editor of Coming into the Light: The Work, Politics and Religion of Women in Ulster, 1840-1940 and The Irish Women’s History Reader. Prior to joining the Institute, Dr Urquhart worked as a researcher for the Women’s History Project where she contributed to an online resource of sources for Irish Women’s History and edited The minutes of the Ulster Women’s Unionist Council and Executive Committee, 1911-40. Dr. Urquhart’s work focuses on the social and political history of women in the 19th and 20th centuries, especially on the issues of suffrage, activism and unionism. She is currently writing a history of Irish divorce.